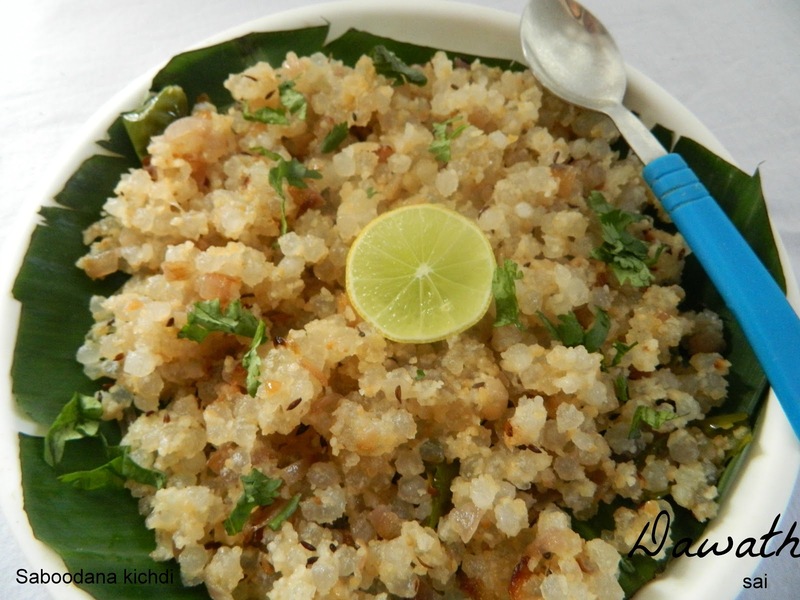 Sabudana kichdi is a popular Maharastrian breakfast and is prepared mostly during fasting since it is a concrete breakfast. It is often prepared during Monday fasts in Mumbai. Sabudana or tapioca pearls is made out of raw tapioca roots, an underground potato like variety. 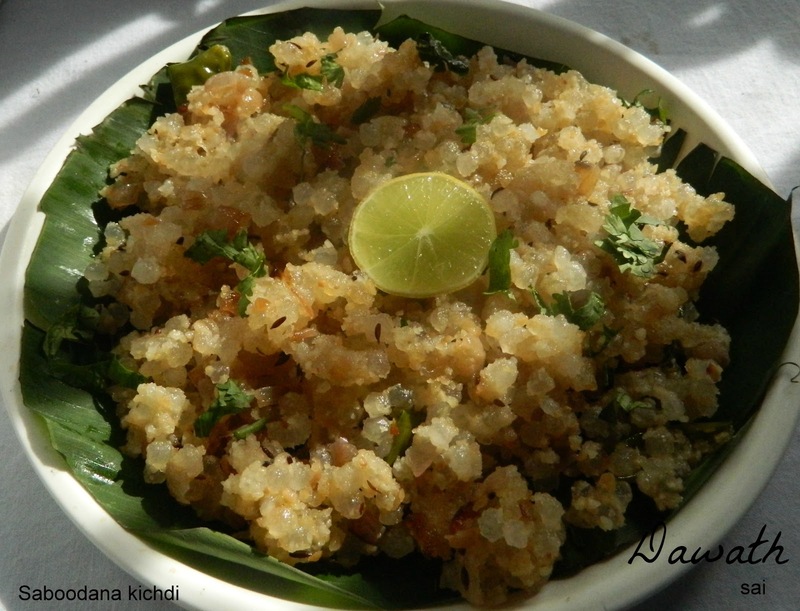 I learnt to prepare this dish from my Mayi (mother in law) who resides in Mumbai . And with lot practice this has become my signature dish . I have taught to prepare this dish to my friends too. Check the recipe of sabudana pops and Sabudana Vada too . Soak sabudana for 1 to 2 hours until it gets completely soaked, it should be smashed when u press the pearl with your thumb and index finger. Drain it in a colander. Keep it out for 2 hours until the water drains completely. Refrigerate overnight in an airtight container . Heat oil in a pan, splutter cumin seeds,add onions and fry until light pinkish in color. Add soaked sabudana, groundnut powder, salt and sugar to taste. Give it a stir and keep it in a slow flame for 15 – 20 minutes stirring in between. You may or may not refrigerate the soaked sabudana. I refrigerate the soaked sabudana as it is time consuming in the mornings,but the result is so good after refrigeration that I make it a point to refrigerate every time I prepare now. Many of my friends have learnt this recipe from me and have succeeded especially because of the refrigeration process. So its up to you ll whether to follow or not,but I suggest to follow. I use ready made salted and peeled bombay peanuts and I make it point store it . You may also dry roast the raw peanuts and coarsely powder it. You may not add onions if you do not prefer. 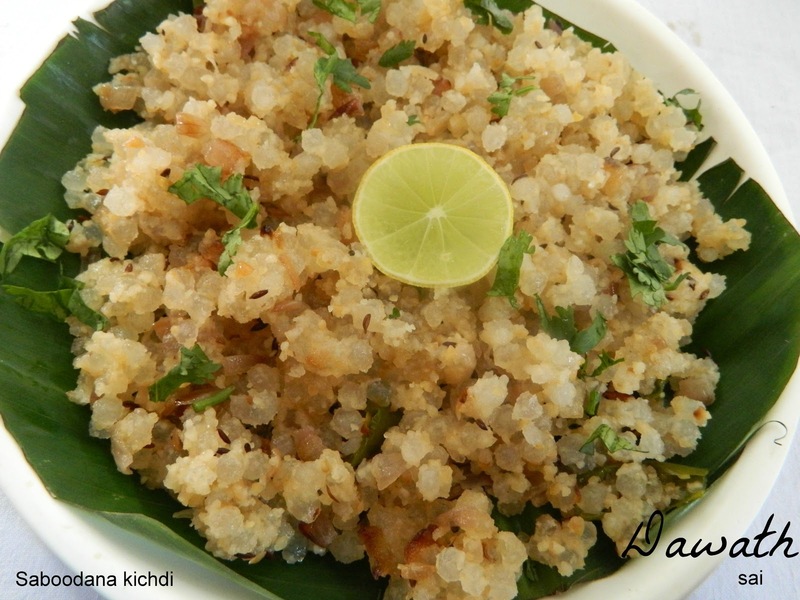 You may also add boiled potatoes to the kichdi.